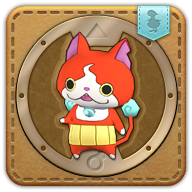 Summon your Jibanyan minion. He might take his anger out on passing vehicles. After being run over, Jibanyan was bound to a busy crossroad where he spent his days taking revenge on any passing vehicle that stood in his way.